After having serious issues with the elevation drive, I dismantled the BIG RAS Rotor last weekend. 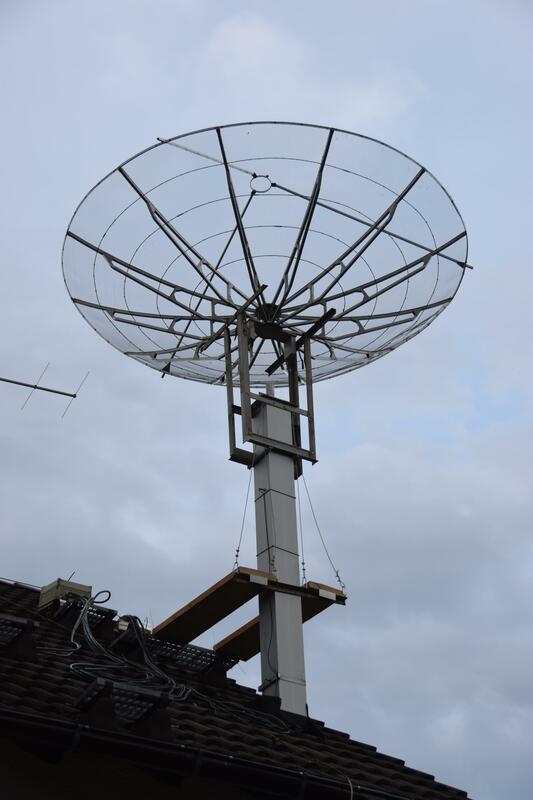 A construction to support the dish by keeping it in an upright position has been installed. 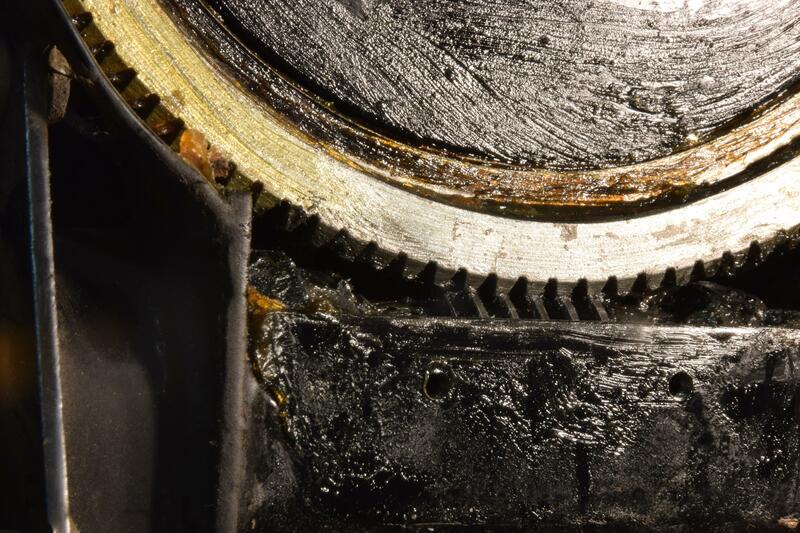 After opening the case of the rotor, the failure could easily been seen: The cogwheel does not fit into the worm gear. Instead it slips over it. I hope to find a solution soon. Update 2016-08-03: SPID offered to check and repair it as a warranty case! So it is on the way to Poland now. TNX to Jacek of SPID Elektronik! This entry was posted in Equipment and tagged dish, Rotor, SPID on 2016-08-02 by admin.